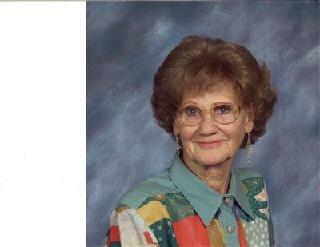 Marcelyn Rae Herron Smith, 79, passed away on Saturday, October 18, 2014 at a local medical facility. A funeral service will be held 2:00 p.m. Wednesday, October 22, 2014 at Lawn Baptist Church, Kenneth Jordan and Marcy Grun officiating, directed by Fry~Bartlett Funeral Home, Tuscola. A visitation will be held on Tuesday, Octobers 21 from 5 to 7pm at the funeral home. Marcelyn was born on September 9, 1935 to Raymond and Johnnie (Egger) Dodd in San Saba. They moved to Lawn in 1949 where she attended school. Upon her graduation she became forever a Lawn Long Horn. She married Forrest Monroe Herron, Jr. on February 11, 1958. She and Forrest stayed in Lawn to raise their three boys, Teddy, Johnny, and Joe. Marcelyn attended McMurry College for her nursing where she received her LVN. She worked as a nurse throughout Taylor County, retiring from the Abilene State School. After retirement she continued to honor her LVN by staying current with her nursing education, even up to her passing. Marcelyn was an incredible lady who at the age of thirteen lost her left arm to cancer. She never viewed herself as being anything less and went on to compete as a twirler in high school, care for her family, and raise her beloved cattle. As many would find, she loved all, but was always to the point and took care of the business at hand. Marcelyn loved to dance whether it was music or to life. She in survived by her sons, Teddy Herron and wife Cathy of Lawn, Joe Herron and wife Autumn of Huntsville; sisters Betty Meador of Hico, and Susan Womack of Abilene; grandchildren, Michael and Matthew Herron; Billy Paul, Tommy Joe, and Kristi Dawn Herron, and Tasi Jane Smith-Herron. She is also survived by fourteen great grandchildren. She is preceded in death by her parents; husband, Forrest Monroe Jr. (1968), and son, Johnny Herron (2010). In lieu of flowers donations can be made to On The Way Home Ministry, C/O Diane Walker, Post Office Box 226, Lawn, Texas 79530.